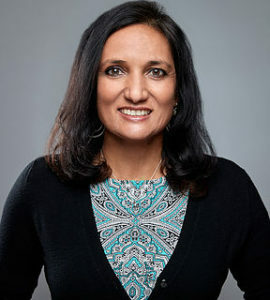 Anju Usman Singh, MD is director of True Health Medical Center in Naperville, Illinois, and owner of Pure Compounding Pharmacy. She has been using evidence-based integrative medical interventions to help children diagnosed with ADD, Autism, Allergies, Gastrointestinal issues, and related disorders for over 15 years. She has conducted research involving copper/zinc imbalances, metallothionein dysfunction, biofilm-related infections, vitamin D in pregnancy, and hyperbaric oxygen therapy. She serves on the executive board for the Autism Society of Illinois as well as the scientific advisory board for Generation Rescue and TACA. She is on the faculty for the Medical Academy for Pediatric Special Needs (MAPS). Dr. Usman received her medical degree from Indiana University. She completed a residency in Family Practice at Cook County Hospital, in Chicago, Illinois and is board certified in Family Practice. In addition, she is board certified in Integrative and Holistic Medicine and holds a certificate in Homeopathy.